As an adolescent, Dr. Chase Dansie spent a lot of time in the orthodontic chair. He knows first-hand the difference quality care can make, as well as a confident smile. Fueled by his childhood experiences, Dansie developed a passion for setting a smile straight. Initially, Dr. Dansie was attracted to restorative dentistry. He saw this niche as the greatest opportunity for impacting patients lives for the better. In time, however, he found that much of what he was seeing in restorative dentistry might have been prevented with early and adult orthodontic treatment. Thus, the inspiration for Dansie Orthodontics was born. To this day, Dr. Dansie remains devoted to partnering the latest in technological advancements with the best in patient care. His goal is for every patient to leave more comfortable and confident than when they first arrived. 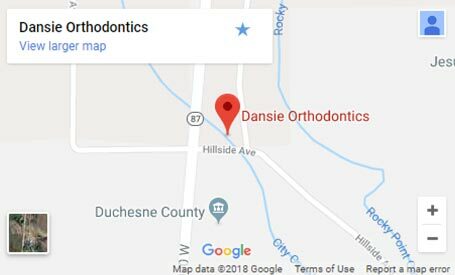 Come experience Dansie Orthodontics and our award-winning orthodontist. You will see for yourself that we offer innovative, effective braces and orthodontics to patients in and around Herriman, Duchesne, South Jordan, Riverton, Bluffdale, and West Jordan, Utah. Everyone is so nice but especially Dr. Dansie! He's the best!! I've had two children get braces here and they have the most beautiful smiles. Loved our experience here! A huge thank you to Dansie Orthodontics and especially Dr. Dansie for performing one of the nicest acts of kindness anyone has done for me. Dr. Dansie would go over the top for anyone and is passionate about improving the health of his patients! Thank you Dansie! 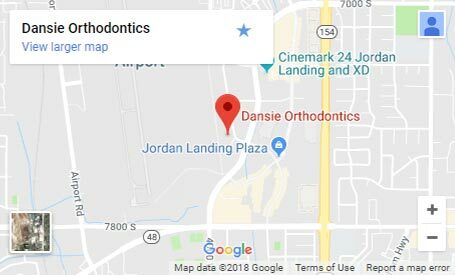 *The reviews listed are from actual patients of Dansie Orthodontics. Individual results may vary. Reviews are not claimed to represent results for everyone. 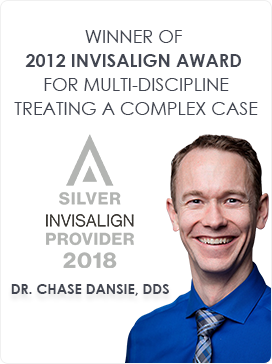 Orthodontist, Dr. Chase Dansie, our award-winning Herriman, UT, orthodontist Jordan Landing, UT, orthodontist and Duchesne, UT, orthodontist offers the most advanced braces for children and adults, including Invisalign, Invisalign Teen, metal braces and clear braces. We can even help you with your TMJ and migraines. 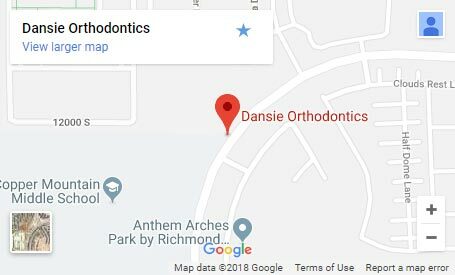 Come experience Dansie Orthodontics and you will see that our orthodontics team offers state-of-the-art, quality orthodontic care with a smile to patients in our local community, including: Herriman, Duchesne, South Jordan, Daybreak, Riverton, Bluffdale, West Jordan, Salt Lake County, Utah (UT). Contact us today for your or your child's complimentary consultation for braces at either our Herriman orthodontics office or our Duchesne orthodontics office.